Mexican transnational criminal organizations (TCOs) represent the greatest influence on drug trafficking into the United States and the biggest criminal drug threat in the country, the Drug Enforcement Administration (DEA) reports. The southwest border (SWB) of the United States — located near San Diego, between California and Mexico —represents one of the largest drug smuggling corridors in the nation. Almost all (90 percent) of drugs seized coming up from Mexico into San Diego are seized at ports of entry, USA Today publishes. The most notable is the San Ysidro Port of Entry that connects Tijuana, Mexico, with San Diego, California. It is one of the busiest border crossings in the world. Over 23 million people and 14 million cars pass through this port of entry every year. In 2016, over 80,000 kg of marijuana, methamphetamine, cocaine, and heroin were seized from the three local ports of entry into the U.S. from Mexico. Drug trafficking represents a serious public health threat in San Diego. Drug cartels are notoriously violent, and they quickly increase the availability of dangerous illicit drugs into the area. This raises rates of drug abuse, subsequent overdose deaths, and addiction in addition to elevating local criminal activity and drug-related violence. Drugs are commonly manufactured, produced, and cultivated in Mexico and smuggled up across the border into the United States. This is partly due to less governmental oversight, potentially corrupt law enforcement, fewer legal and criminal penalties, and geographical factors. Drug cartels control much of Mexico, and they are some of the biggest drug trafficking organizations in the world. Since San Diego is so close to Mexico, sharing a border, it is no shock that many of these TCOs use the SWB to bring drugs into the United States. 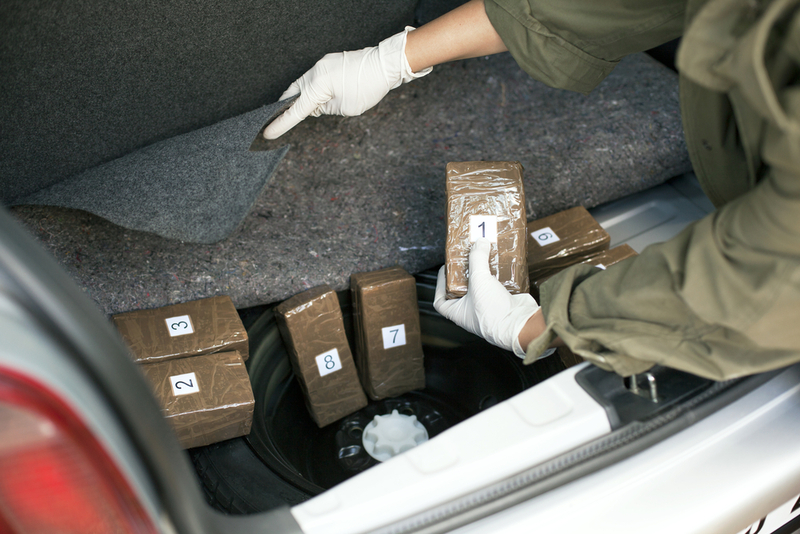 Over the years, many different methods have been employed to get drugs into the hands of Americans, including boats, ultralight aircraft, cars, drug mules, trucks, and tunnels. San Diego waterways provide access for drug smugglers who can use recreational boats and fishing boats to blend in with normal harbor traffic. Most of the drugs that move across the border from Mexico into San Diego do so through cars and vehicles crossing through the port of entry, however. With so much traffic passing through this small geographical region, border patrol agents do not have much time to spot and seize drugs crossing this way. Drugs are cleverly hidden in the panels of cars, under floorboards, and in disguised products. As border patrol agents use drug-sniffing dogs, smugglers get smarter and find new ways to bring drugs across the border. Drones: According to the Washington Examiner, more than 15 drones have been spotted by U.S. Border Patrol agents in San Diego between fall 2017 and fall 2018, representing a new method of getting drugs across the border. These drones are hard to spot and even harder to capture as the operators are often miles away. Drones can carry small packages of highly dangerous and potent drugs, such as fentanyl, which can be deadly in very small amounts. Prior to drones entering the market in 2010, ultralight aircraft were commonly used to smuggle contraband into San Diego. These crafts had engines that could be heard and required an actual on-board pilot to fly them. They were therefore more detectable and easier to spot and bring down than today's drones. Law enforcement officials are unsure how often drones are even being used to smuggle drugs, money, firearms, and other contraband into the U.S. It is highly likely that most of them enter and exit the country undetected. Tunnels: The soil in the San Diego-Mexico border region is clay-like, and therefore ideal for digging and creating tunnels. This is another form of drug smuggling instituted by drug cartels and TCOs. These tunnels are often highly sophisticated and can accommodate vast quantities of drugs. Since 2001, USA Today reports that more than 60 drug smuggling tunnels have been shut down in the region by the San Diego Sector Tunnel Task Force. Teenage drug mules: During 2017, Customs and Border Protection (CBP) agents arrested 84 juveniles at California border crossings who were smuggling narcotic drugs, the San Diego Union-Tribune publishes. The number of teenage drug mules seems to be increasing in recent years, as drug cartels target these kids with promises of easy money. Many of those targeted are crossing the border from Mexico every day to attend school in the U.S. with a border crossing card. Drug smugglers will strap drugs onto their bodies and send them across the border to school in the San Diego area and then retrieve the drugs. Drugs like methamphetamine, cocaine, heroin, and fentanyl are being smuggled in this manner, replacing the bulkier drug marijuana. When caught, these teens face harsh penalties. The U.S. has been cracking down on narcotic trafficking and no longer allows these offenders into drug diversion and rehabilitation programs. Instead, these kids face serious jail time, fines, and revocation of privileges in the United States. Local San Diego schools run campaigns, such as Project Crossing Guard, to educate students on the hazards of the drug trade. Drug cartels have a major presence in Mexico and the San Diego region, as they move drugs in and out of the area. These organizations are notoriously violent and brutal, and crime often follows drug trafficking. Recently, a major shift occurred in Mexican organized crime and therefore the drug smuggling operations. In January 2017, the Justice in Mexico Policy Brief explains that the recapture and extradition of El Chapo from Mexico into the United States set off a domino effect. Homicides spiked exponentially. In 2017, there were nearly 30,000 murders in Mexico — a new record. This created a vacuum of power that caused an offshoot of the Sinaloa Cartel, the Jalisco New Generation Cartel (CJNG), to rise to power, headed by Nemesio Oseguera Cervantes "El Mencho." This also brought about a shift in the drug trade itself. Drug smuggling operations were moving from the bulky and pungent marijuana into drugs that are easier to traffic undetected, such as methamphetamine, heroin, and synthetic drugs. The drug of choice for the CJNG is methamphetamine. Most of the meth that comes into the United States originates in Mexico. Prior to 2015, the majority of the methamphetamine made in Mexico was being distributed in Canada and Australia, but recently, meth trafficking from Mexico has shifted to include the United States. Drugs moving up from Mexico into the United States have changed over the years, as demand for one drug may wane and others may increase. For example, as marijuana legalization for both medicinal and recreational purposes has become more mainstream, including in California, TCOs have made the switch to other products. The major drug threat in the San Diego region today is meth and indicators are on the rise. The Justice in Mexico Policy Brief reports that between 2015 and 2016, meth seizures in the San Diego Corridor increased 9 percent. The DEA warns that meth coming up from Mexico is typically extremely potent, high in purity, and low cost. It is often smuggled up in liquid form, disguised as other products, and then converted into crystal meth in a specialty conversion lab in California. The DEA publishes that 7 percent of all conversion labs shut down in 2016 were in California. Higher purity and potency can mean an increased rate of overdose. Ultimately, the drug can have more of an impact at lower doses. The San Diego Union-Tribune reports that the purity and potency of drugs coming across the border from Mexico have been on the rise in recent years, and this is contributing to higher numbers of overdose deaths and increased rates of addiction. Heroin indicators are also increasing in the San Diego region. Traditional "black tar" heroin coming out of Mexico is changing to the more potent brown or white powder form. This is likely due in part to the opioid epidemic that is sweeping the nation. As more and more people struggle with addiction involving prescription opioids and make the switch to heroin, they do not want the "dirty" version of the drug. Another cause for concern is fentanyl. This extremely powerful and potent synthetic opioid is regularly being used to cut other drugs, including heroin, meth, and cocaine. In 2016, there were 253 overdose deaths involving opioids in San Diego County, primarily driven by the abuse of synthetic opioids like fentanyl or the even more powerful elephant tranquilizers carfentanil. Meth is often closely connected to aggression, violence, and high rates of crime, as it is a powerful stimulant drug with unpredictable side effects that can cause paranoia and psychosis. Drugs can increase crime rates due to out-of-character behaviors while intoxicated, smuggling and possession charges, and violence related to trafficking and cartel-related altercations. Over the years, there have been several attempts on both sides of the border to impact drug trafficking and manufacturing operations. 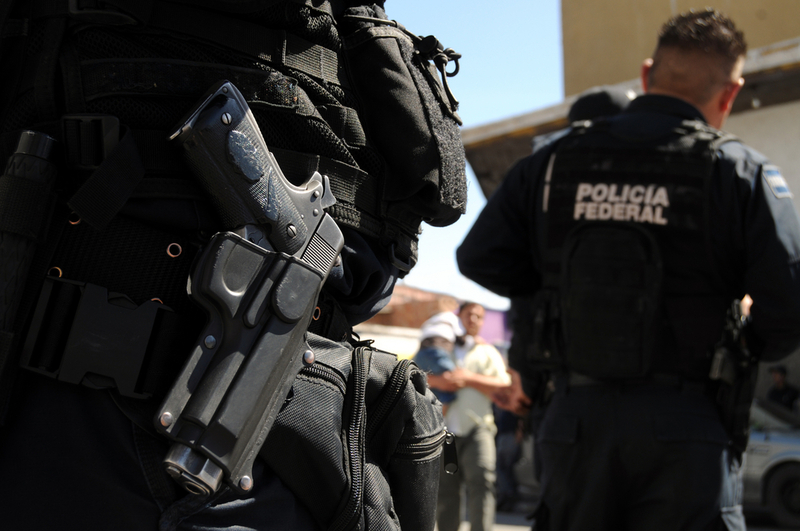 These efforts can have unintended and unwanted consequences, as the Voice of San Diego reports that cracking down on cartel leaders in Mexico can actually lead to more issues, including retaliation against local law enforcement, fighting within organizations, and encroachment from rival organizations, leading to violence and increased crime. Within the United States, the Racketeer Influenced and Corrupt Organizations Act (RICO) helps to dissuade some of these side effects by allowing associated affiliates to be prosecuted along with criminal leaders. In August, authorities in Mexico, through a joint operation between the DEA and the Mexican government, offered a $1.5 million reward for information on El Mencho. They are vowing to go after the cartel's financial infrastructures and leadership to bring down these criminal enterprises to stem the drug tide. Mexican authorities are now reporting that they may be willing to offer amnesty for low-level cartel members, may consider legalizing marijuana, and are going to attempt to go after the root causes of organized crime in the region, which includes corruption and poverty. The Combat Methamphetamine Epidemic Act (CMEA) of 2005 made it more difficult to buy the precursors for meth (such as those contained in cold medications like Sudafed) over the counter in bulk in the United States. This helped to mostly eliminate the "superlabs" responsible for manufacturing the dangerous synthetic stimulant in California. Unfortunately, most of these labs just moved across the border into Mexico. The Mexican government made a similar move to ban the importation of these chemicals from China, where they were commonly being shipped from. The Economic and Security Review Commission reports that 80 percent of the precursor chemicals used to make the drug in Mexico are coming from China. This ban and cooperation between the U.S. and Mexico did little to stop meth production in Mexico, however. Cartels then shifted the Chinese imported materials to ports in other less regulated South American countries and then smuggled them up across the border. Government officials on both sides of the Mexico and U.S. border are working to come up with a better solution today. There are several organizations in San Diego that strive to combat drug trafficking and drug-related crime in the region. 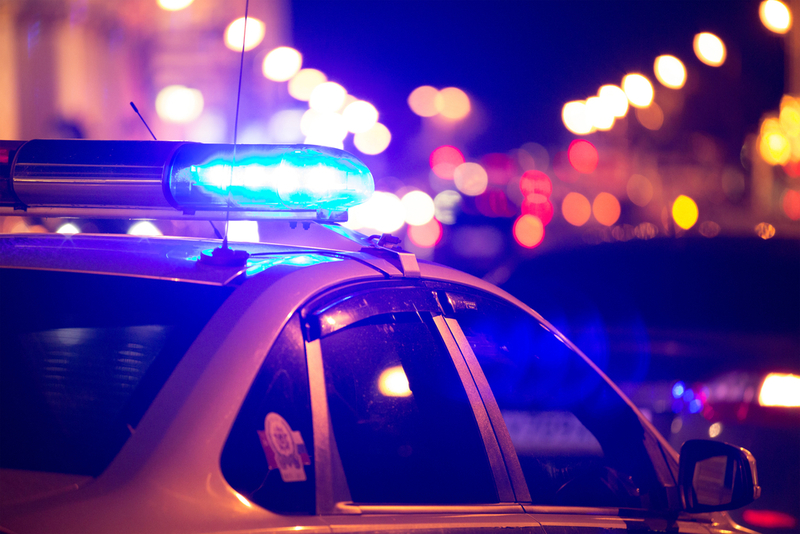 Local law enforcement agencies provide community outreach programs, educational campaigns, prescription drug take-back days, and other methods to discourage drug diversion, trafficking, and availability in the area. These efforts help to positively influence crime rates and minimize drug abuse and addiction. 2017 National Drug Threat Assessment. (October 2017). Drug Enforcement Administration. The Wall. (2017). USA Today. Drone Activity by Drug Cartels Surges on San Diego's Border with Mexico. (October 2018). Washington Examiner. Solar-Paneled Drug Tunnel Discovered on Mexican Border with California. (October 2018). The Guardian. Promises of Riches, Leniency Lure Teens into Smuggling Drugs Across Border. Then Reality Sets In. (July 2018). San Diego Union-Tribune. Potency, Purity of Drugs Reaching Even Higher and Deadlier Levels. (November 2017). San Diego Union-Tribune. San Diego County Leaders Unveil Plans to Battle Drug Addiction. (March 2018). 10 News. Border Report: Mexico's Role in Cross-Border Drug Prosecutions. (September 2018). Voice of San Diego. RICO Charges. The United States Department of Justice. CMEA (Combat Methamphetamine Epidemic Act of 2005). Drug Enforcement Administration. U.S.-China Economic and Security Review Commission Staff Research Report. (July 2016). Economic and Security Review Commission. SDI HIDTA. San Diego and Imperial Counties High Intensity Drug Trafficking Area. San Diego DEA. Drug Enforcement Administration. County of San Diego, California Board of Supervisors Policy. (December 2018). Sheriff Department. California Narcotic Officers' Association. (2018). CNOA. San Diego Sector California. (January 2018). U.S. Customs and Border Protection. San Diego County Sheriff's Department. (2018). San Diego County Sheriff's Department. SD Police. (2018). City of San Diego.